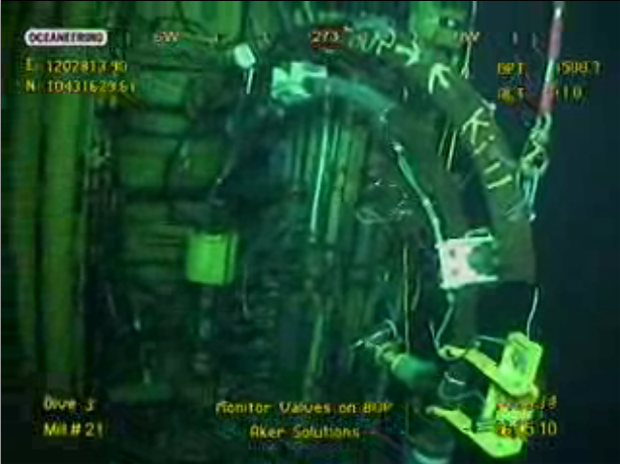 used 5,000 feet below the ocean’s surface. 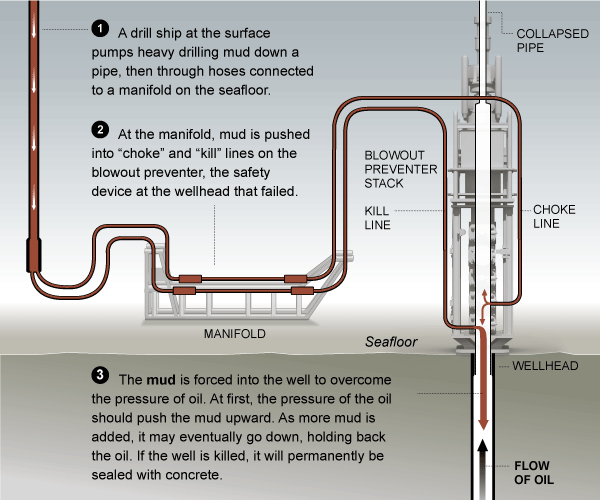 connected to the wellhead–and if that happens, oil flow will increase. to 70% chance of success. Watch it live right here. And in case you missed the earlier action — in which you could make out the oil plume and the words “Top Kill” written on a hose on the machine being used to try and pump concrete into the well — here’s a highlight reel. And here’s a video explainer about how the whole thing is supposed to work.